Letter to the Editor | Is Pitt practicing what it preaches? Pitt’s investment in immunotherapy cancer treatment is clearly in line with the University’s mission. 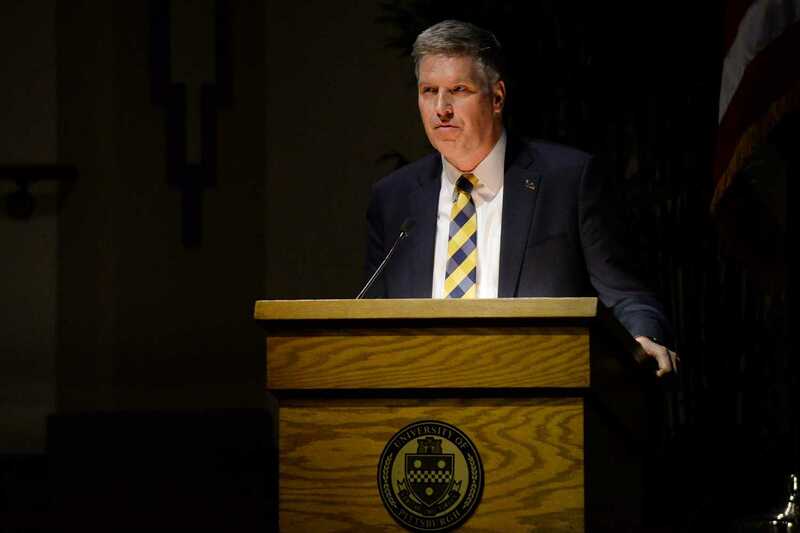 But a growing number of students and faculty are calling on Pitt Chancellor Patrick Gallagher and the Board of Trustees to address a number of glaring investments and disinvestments that stand in stark opposition to Pitt’s mission of societal gain. Consider Pitt’s $26 million investment in the fossil fuel industry. Despite several years of consistent pressure from the Fossil Free Pitt Coalition, the administration has only recently begun to give student activists a seat at the table with the creation of an ad hoc committee focused on sustainable investment. The scientific community, of which Pitt is a proud member, is telling us that our reliance on fossil fuels is contributing to climate catastrophe, ecological disaster and, ultimately, the destruction of our future. Yet Pitt refuses to enact concrete change in its policies or consider the fossil fuel divestment petition currently supported by more than 5,000 students, faculty and citizens — including Mayor Bill Peduto. Gallagher’s silence on the issue reflects Pitt’s lack of leadership on the matter, especially as other major universities, organizations and governments around the world are divesting at the behest of climate scientists. Attend any one of the Dean’s Hours sessions hosted by Dean of Students Kenyon Bonner, and you’ll hear students also raise concerns about where Pitt’s money goes on campus. Some students doubt the necessity of Pitt’s new $13.2 million sports dome, while others wonder how much the campus shuttles’ new paint jobs cost. For many, the tension of rising tuition is at the core of these concerns. Students question why Pitt spends only 4.25 percent of its $3.52 billion endowment — which is ranked as the 26th largest in the country — while other universities with endowments of more than $1 billion spent, on average, 4.8 percent in 2017. If Pitt spent the national average of 4.8 percent of its own endowment, more than $19 million would be added to the operating budget. This money could be used to avoid tuition hikes or pay faculty, graduate and undergraduate student workers a living wage. Pitt appears to be more interested in deterring students’ efforts to be heard than listening to them. The administration’s strong pushback against the efforts of the Pitt Graduate Student Union signals an utter lack of concern for graduate students’ struggles. In fact, Pitt’s anti-union behavior even prompted a letter from Congressman Mike Doyle, D-Pa., warning Chancellor Gallagher against spending public funds and tuition dollars on anti-union activity. Finally, Pitt recently revealed the working draft of its “Pitt Principles.” Proposed by the ad hoc special Senate special committee on diversity, inclusion and core values, the “Pitt Principles” document highlights five guiding principles for Pitt to follow, including “diversity and inclusion” and “shared governance.” Although not explicitly representative of substantial financial decisions, recent action — or better yet, inaction — also represents a lack of commitment to Pitt’s stated mission. Pitt should enact concrete action to address issues concerning diversity and inclusion, such as the abysmally low rates of minority students and the refusal to declare Pitt a sanctuary university. Instead of vaguely describing characteristics of shared governance, Pitt should begin making past and future financial records public, including Board of Trustees members’ voting records and the extent of our investments revealed in the Paradise Papers. The creation of new committees and declarations like the “Pitt Principles” mirror corporate remedies rather than transformative change. Nonprofit institutions and public universities responsible for billions of dollars must ingrain high levels of transparency and practices of shared governance into their cultures. While the investment in cancer immunotherapy undoubtedly supports Pitt’s mission of societal gain, we need to look beyond the press releases to more accurately assess Pitt’s commitment to all of its stakeholders.